The Capsicum Show, hosted by Roger Meltzer, reigned as one of the hottest reggae music shows in the world from 2013 to 2015. When the show took a hiatus in 2015, The Capsicum Show had a listening audience of over 80,000 plus weekly listeners. Roger, who is also the CEO of the international record label Capsicum Records, put the show on hiatus to pursue business interests related to his growing record label. The Capsicum Show is set to renew its place as one of the best reggae music shows on the ... See More planet starting Wednesday January 3, 2018. 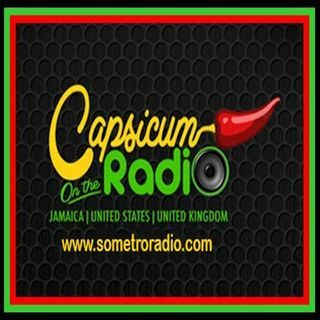 The show will air weekly from the member stations of the Capsicum Radio Show Network like Irie Jam Radio in New York, SoMetro Radio, Soul Divas Radio and more.